Special Needs Out of School Club (SNOOSC) is a registered charity providing Leisure opportunities for children and young adults aged from 9 to 20 years who have a special educational need and/or disability. Our members come from within the Chiltern School and schools within the wider community across Bedfordshire and Luton enabling them to access After School Club, Saturday and Holiday Clubs, activities, venues and trips. SNOOSC is based within the Chiltern School in Houghton Regis, but operates our services independently to the school. For dates of upcoming After School Clubs, Saturday Clubs and Holiday Clubs please see the attachment below. 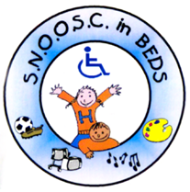 SNOOSC recognises that each child/young adult is an individual with their own interests and needs. We believe that children/young adults with special needs/disabilities should have the same opportunities to participate in social and leisure activities as do their peers. We aim to support each child and young adult to successfully access activities, venues, and trips alongside both disabled and mainstream peers. ALL SNOOSC services offer a short break service for club members, Parents/Carers, siblings and other family members. Our specialism offers a one-to-one service for club members. Our Staff/Buddies/Volunteers help with transition, life-skills ,support and encouragement. ALL SNOOSC Staff/Buddies/Volunteers are D.S.B. checked. Chairperson, SNOOSC Board of Trustees: Mrs. Nicola Ladds. Deputy Team Leader: Miss. Rebecca Ladds.